Enjoy - Food & Travel: Then to something completely different - flight news! Then to something completely different - flight news! Here are a few headlines from the Norwegian flight market picked up from different news providers during the last weeks of October 2008. Røros, the beautiful mining town on the UNESCO Heritage list, has struggled to attract airlines to land at their local airfield. Widerøe is the only air carrier operating services on a regular basis. The Swiss company Kontiki Saga Reisen will change this, as they will operate a weekly charter service to Røros from June 25th to August 6th. Swiss tourists will then get the opportunity to discover this architectural gem. The tourists will then be offered a return from Karlstad Airport in Sweden. Krabi Airline planned to open a new non-stop service twice a week from Oslo to Bangkok and Krabi November 1st. The airline has now decided to wait for another month. 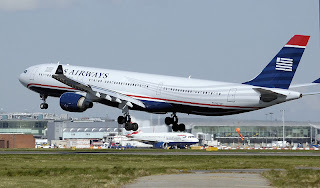 The airline planned to launch the new service back in April, but has postponed the new service three times already, first June, then August, then November 1st. The delay has officially been caused by late maintenance of their Boeing 747 that will fly from Oslo and additional paper work. Krabi Airlines offers the travellers, full refund, new tickets on later flights, or tickets to same destination with another competing airline for the original price. Ask for a full refund or new tickets on another airline, if you ask me, as booking for another flight on Krabi Airline may be risky. Enjoy Food & Travel will keep you posted. The only non-stop service from Norway to the US has been operated by Continental. The flights from Oslo airport to Newark International Airport have been a great success. In a press release, US Airways presents Norways 2nd daily non-stop flight to the US May 21st. 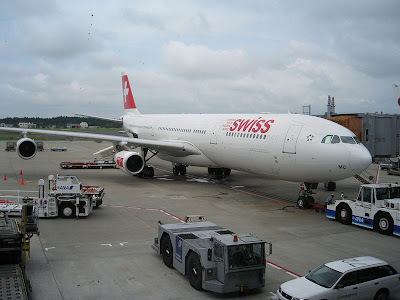 From that date they will fly their Boeing 757 from Oslo Airport to Philadelphia International Airport, PA, with an easy access to both the Washington DC area, as well as the New York City Area. The plane will leave Oslo 1.00 PM CET and land in Philadelphia 4.00 PM EST, returning 8.30 PM EST, arriving in Oslo at 10.30 AM the next morning local time. 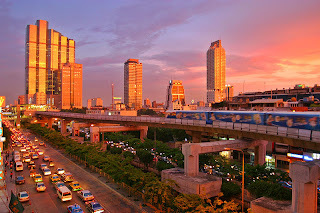 Read more on Enjoy Food & Travel: New non-stop flights from Oslo to New York and Bangkok from 2010? Ryanair use Torp airport at Sandefjord as its Norwegian hub. The Norwegian capital is 1,5 hour away by shuttlebus. The airline operates two services to Italy already, one to Bergamo and one to Pisa. They plan to launch flights to two other Italian destinations, Bologna and Sardinia in March 2009. Its fifth service from Torp will be launched May 1st to Trapani, Sicily. Ryanair has struggled to get enough passengers to several of its destination from Norway. We'll see whether they have chosen the right destinations this time, and whether there are equal interest from Italians to visit Norway. Enjoy Food & Travel will keep you posted! More? 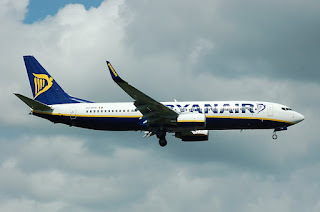 See story on Enjoy Food & Travel: Ryanair say goodbye to Madrid, and au revoir to Provence! !